As Chinese economy continued its downward trend, Chinese Premier Li Keqiang expressed confidence that the 7.5 per cent growth target for this year would be achieved without any massive bailout package to halt the slide. 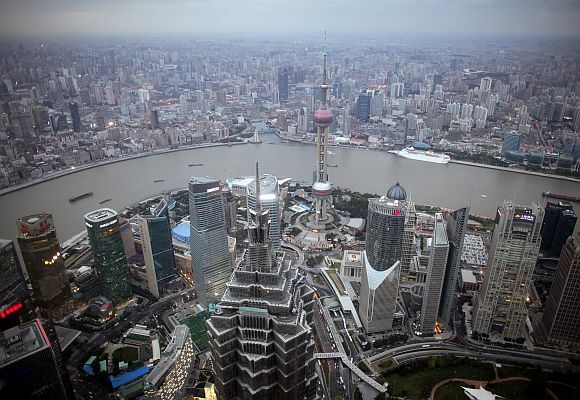 China is capable of achieving its growth target of 7.5 per cent this year without a massive stimulus program similar to the one launched during the 2008-09 global financial crisis, state-run China Daily quoted Li as saying at an economic conference in Beijing on Tuesday. 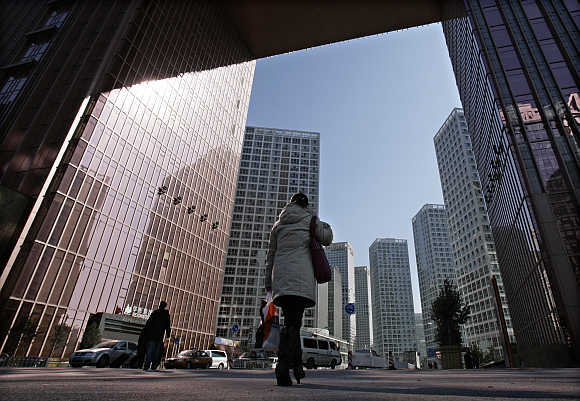 Image: Beijing's Central Business District. Li's comments comes in the wake of speculation that the government could come up with a bailout package like the massive $645 billion in 2008-09 to insulate Chinese economy from global financial crisis. 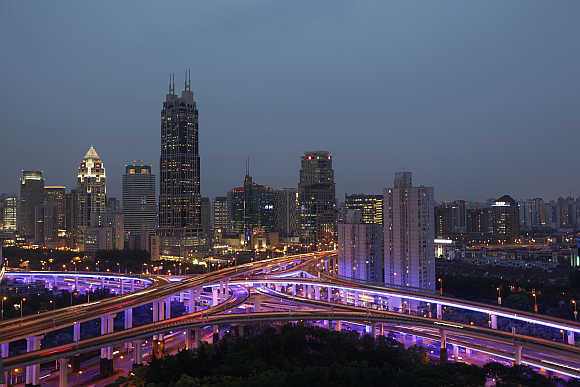 Image: An aerial view shows vehicles travelling on intersections at night in downtown Shanghai. 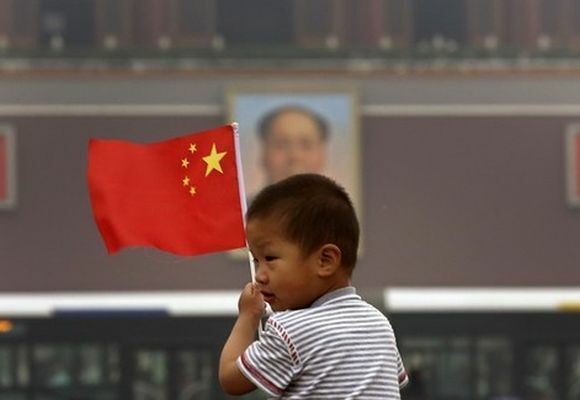 Image: A child holds a Chinese national flag in front of a portrait of China's late Chairman Mao Zedong.